Dramatisation of the days following pilot Chesley Sullenberger's famous 2009 crash-landing of an airliner in New York's Hudson river. Sully is certainly a hero in the hearts and minds of the people whose lives he saved, and in the psyche of New Yorkers. Perhaps Eastwood's film will play better to members of either group, but for casual viewers it's a dramatically inert slog. On January 15th 2009, US Airways pilot Captain Chesley 'Sully' Sullenberger found himself in a perilous situation when a bird strike knocked out two of the engines of his Airbus A320. Deciding the plane's low altitude made a landing at the nearest available airport, La Guardia, impossible, Sully brought the plane down in New York's Hudson river, saving the lives of his passengers and crew. At the time, Sully was immediately proclaimed a hero by the media. Of course, protocol was followed, and an investigation was conducted into whether Sully made the best decision. 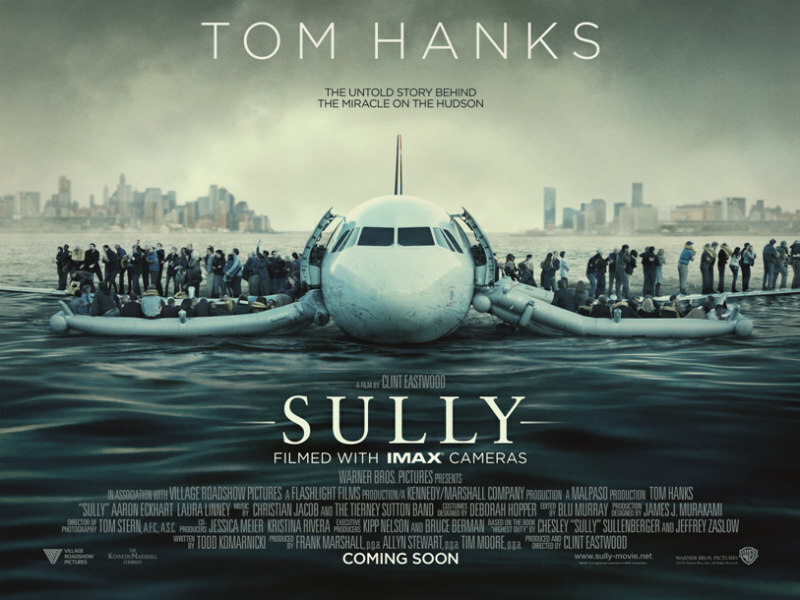 Starring Tom Hanks in the title role, Clint Eastwood's Sully focuses on this investigation, portraying the representatives of the National Transportation Safety Board as the villains of the piece in an attempt to create drama where none really exists. In Eastwood's eyes they're the sort of pencil pushing bureaucrats who wouldn't let Dirty Harry get on with the job of gunning down criminals. 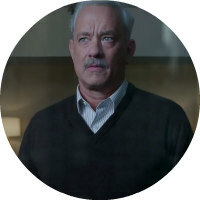 Due to their cross-examinations, Sully begins to second guess himself, dreaming of news reports in which he's proclaimed a fraud rather than a hero, and envisioning his plane crashing into a Manhattan skyscraper, not once but twice. In case these sequences go over our head, a character speaks the line, "It's a long time since we've had good news involving a plane in New York!" Remember how back in school a teacher would assign you a word count for an essay that you struggled to fill, and so padded it out with as much extra filler as you could get away with? Well that's kind of how Sully feels. Eastwood manages to bring his film to the 90 minute mark by showing us the crash-landing itself three separate times during the film, while more runtime is eaten up with pointless flashbacks of Sully's time as a flying student and a Navy pilot. With Sully stuck in a hotel until the investigation is over, we get the standard phone conversations between himself and his wife (Laura Linney), which lack authenticity and give us little insight to their relationship. It would be unfair to say Hanks phones in this performance; he's certainly giving it his all, but Sully is such a cardboard figure here that he can't help but appear to sleepwalk through the film. The showier role is given to Aaron Eckhart as his co-pilot, who spends the movie vocally defending his colleague's actions, displaying a degree of infatuation that borders on homoeroticism (the moustache doesn't help). 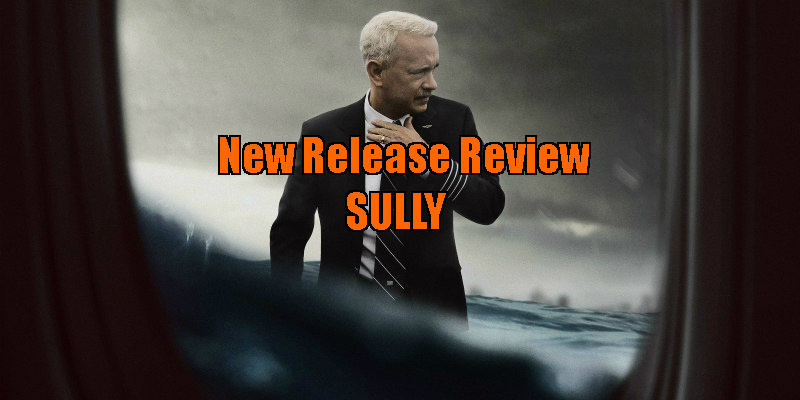 Is Sully a hero or simply a professional whose skill helped him pull off a remarkable feat? The movie suggests, as is fair, that the latter makes him the former by proxy. He's certainly a hero in the hearts and minds of the people whose lives he saved, and in the psyche of New Yorkers. Perhaps Eastwood's film will play better to members of either group, but for casual viewers it's a dramatically inert slog. Sully is in cinemas December 2nd.